Ignoring facts about serious corruption offenses, idling, delaying pre-trial proceedings, allowing irreversible destruction of evidence – such is the outcome of the actions of the Ministry of Interior (in particular the Main Directorate for Combating Organized Crime, GDBOP) and the Prosecutor’s Office in the scandal known as “GP Gate”. Regardless of the “activities” in the case, promoted by Prosecutor General Sotir Tsatsarov, and the pressed charges, obviously no one is working in depth to unravel the sinister by scale and dimensions corruption network associated with abuse of European Union (EU) funds, revealed by Bivol. The reluctance to do so is a sign that there is fear that people in power might be exposed. With its inactivity, the law enforcement agencies actually help offenders by providing them with the time and opportunity to cover up their tracks. Bivol was able to examine documents from the European institutions investigating the actions of the Bulgarian authorities in detecting abuse of EU funds, including “GP Gate”. The comparison with the publicly known facts raises many questions about the will and the capacity of the Bulgarian anti-corruption bodies. In general, law enforcement shows miserable results in investigations into theft of EU funds. This is particularly true for investigations related to the two major operational programs – “Transport” and “Regional Development” – as they involve a minuscule part of the amounts, a report for the period 2007 – 2013 shows. For example, EUR 1,593,269,234.20 has been received from the Operational Program “Regional Development”, of which EUR 600,955.07 has been the subject of a national investigation or around 0.04% of the total amount. For the Operational Program “Transport”, there is no information of any prosecutorial actions, but the certifying authority has found irregularities in one project for EUR 168,519,60 or 0.01% of the EUR 1,593,269,234.20. The situation with the Operational Program “Competitiveness” is slightly better – EUR 955,912,449 has been received from it and the Bulgarian authorities have detected irregularities for EUR 1,979,232.52 euro or 0.2%. In comparison, only several of the projects under the OP Competitiveness of the infamous Mario Nikolov amount to EUR 3.8. Exposed by the EU antifraud office OLAF of fraud and abuse of European funds, he was eventually acquitted by a Bulgarian court for misappropriation under the SAPARD program, while his accomplices in Germany served jail time for the same crimes. Such a double standard in the administration of justice reveals that the aforementioned projects of the scandalous businessman have never been investigated in substance in Bulgaria despite the well-founded suspicions. Mario Nikolov also became popular with the fact that he was one of the big donors in the presidential election campaigns of Georgi Parvanov. For the time being, there is no data on how many of the projects under the Rural Development Program (RDP) managed by the State Fund Agriculture (SFA) are being investigated for abuses. On September 10, 2018, Bivol published the first part of its journalistic investigation dubbed “GP Gate”, which exposed secret parallel bookkeeping by several consulting firms linked to the large construction company, GP Group. The documents published by Bivol revealed that impressive sums had been set aside to bribe mayors, government officials and experts. What followed was a sheer panic reaction on the part of the consultants, who on the very next day after the publication began “cleaning up” their offices in the building at 59 “Cherni Vruh” Blvd. in the capital Sofia by removing and destroying documents and equipment that are potential evidence of serious corruption in the absorption of European funds. On September 11, Bivol forwarded in writing this insider information to the Prime Minister, the Prosecutor General and the Ministry of Interior (MoI). Prime Minister Boyko Borisov straightaway ordered the MoI to conduct a probe. The Prosecutor’s Office, however, pretended that it had not received such a signal. The latter was officially filed only on September 14, along with a signal sent by Deputy Prime Minister Tomislav Donchev. The two letters have been merged into one case which has been forwarded to the Sofia City Prosecutor’s Office. There, the case has been filed under number 18677/2018. This and other facts emerge from documents gathered by Brussels in connection with the investigations of the Bulgarian authorities, which Bivol has examined. On September 14, however, leading international media had already published front page news of two journalists arrested in Bulgaria on September 13 while investigating misappropriation of EU funds. So, it appears that the Prosecutor’s Office has become active because of the international interest and not because of the specific crimes outlined in the publication. The delayed reaction of the prosecution exposes the inactivity of the MoI as well. The GDPOB, which started the investigation on the orders of Prime Minister Borisov and on September 12 had already talked with journalists of Bivol, received reliable information about the ongoing removal of documents from the GP offices and their destruction. We can only guess the reasons why the anti-mafia police chose to do nothing. It is also a fact that it did not inform the Prosecutor’s Office in due time. Moreover, instead of apprehending the perpetrators of a likely monstrous theft, the police arrested and kept handcuffed all night long the reporter of Bivol Dimitar Stoyanov and our Romanian colleague Attila Biro. It happened at the crime scene to where the journalists had traveled to verify the facts. Instead of helping our team, the police did their best to prevent them from doing their job. In the aftermath, the GDBOP boss, Ivaylo Spiridonov, blatantly refused during a TV broadcast to even apologize to Bivol. After the signal had been eventually “filed” on September 14, three days later, on September 17, Tsatsarov’s office deigned to tell the protesters outside that a probe had been launched and assigned to the National Security Agency (DANS). The probes had been advancing very slowly, despite the second publication about GP Group (see here), which lists the names of government officials and politicians who have received the so-called “commissions” i.e. bribes. We recall that Prime Minister Borisov ordered to have them suspended from their posts until the outcome of the probe is known. On the same day, the Specialized Prosecutor’s Office, after receiving a “similar signal”, also started pre-trial proceedings for a crime under Art 321 Para 3 for the fact that on an unknown date up to the present moment on the territory of the Republic of Bulgaria certain persons formed, led and participated in an organized crime group… (Art 253 Para 1). It is unclear why this happened only on October 8, since from the outset there was definitely evidence in Bivol’s publications that there is an organized crime group (OCG) of more than three people. It is also not clear what this “similar signal” is, who has submitted it, and why it has happened so late after most of the evidence has been destroyed in a field near the western town of Radomir, where the journalists were arrested. 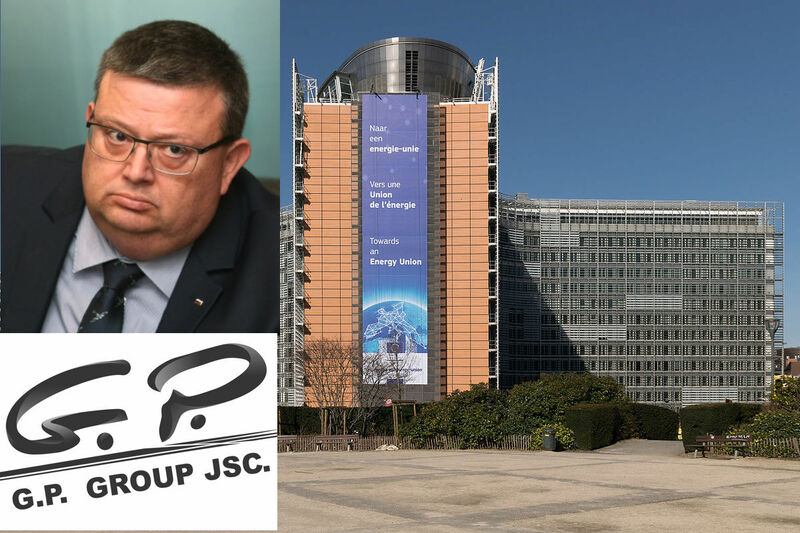 It is clear, however, that only the resonating public response and the shaking of the finger by Brussels and the United Nations have forced Tsatsarov to overcome his reluctance and to actually advance the investigation. Then, the Prosecutor’s Office finally realized that the pre-trial proceedings at the Sofia City Prosecutor’s Office and the Specialized Prosecutor’s Office are the same thing and merged them in one case under number 1501/2018 in the Specialized Prosecutor’s Office. The case is labeled as one with “particular factual and legal complexity”. But even after the launch of the pre-trial proceedings, no one has shown any interested in the half-burnt documentary evidence that has been collected in large bags and kept at the police precinct in the western city of Pernik. Some of it remains abandoned in a hole in the field, a fact that our journalists were able to demonstrate to the western media that visited to Bulgaria to report on the scandal. Some of these half-burnt documents, located by our team and kept in Bucharest and Sofia, clearly prove that they are directly related to Bivol’s publications about the GP Group’s corruption network. In the course of the preliminary probe, the Sofia City Prosecutor’s Office has somehow managed (without pre-trial proceedings) to lift the bank secrecy on bank accounts of the directors of GP Group and the company itself and to receive from the Sofia City Court on September 26, 2018 authorization for a preventive measure – the blocking of financial operations, on the grounds of Art 12 Para 3 of the Measures against Money Laundering Act. It also emerges that the EUR 14 million transfer to an account abroad, an amount about whose freezing the prosecution bragged, had been ordered on Friday, September 21. Since the Court did not approve the preventive measure until Wednesday, September 26, apparently there had been intervention by the Director of “Financial Intelligence” at DANS, who had blocked the transfer for three work days with a written order under Art 12 of the Measures against Money Laundering Act. In addition, bank safety vaults of persons related to GP Group have been searched and “belongings” have been confiscated. Information about insurance policies and tax declarations of the same persons has been requested. All this has happened without the prosecution launching pre-trial proceedings. Such must be formed in the presence of a legitimate reason and sufficient evidence of a crime. There was plenty of available evidence, but, as noted above, for some reason the proceedings did not start until October 8. On October 29, 2018, accusations were brought against two Bulgarians citizens. The Prosecutor’s Office announced later that they are associated with the GP Group and one of them is a shareholder in the company. The charges are under Art 321 Para 6 – collusion to commit crimes with the aim to gain property benefits. In spite of the serious crimes they are accused of, the GP Group bosses are free at large against a modest bail of BGN 30,000. This enables them to exert pressure on witnesses, destroy evidence, and ultimately turn meaningless the efforts of the investigators, who are yet to ask any information from Bivol’s team about the way we obtained the incriminating evidence of monstrous corruption in EU projects. Everything written so far shows that the prosecution and the MoI have not worked seriously and quickly to intercept and disclose the serious crimes evidenced in the “GP Gate” publications, but have been rather idle and have been forced into action due to public, European and international institutions pressure. Why wasn’t Bivol’s signal from September 11 filed until September 14, and only after the eruption of the scandal with the detained journalists and why was it attached to another signal by Tomislav Donchev? Why, after being approached by the Prime Minister on September 11, GDBOP failed to notify the Prosecutor’s Office and no prosecutor’s case for the destruction of evidence has been initiated? Why the signal, filed on September 14, has not been sent to the Specialized Prosecutor’s Office, since it contains obvious evidence of the existence of an organized crime group, but has been sent only to the Sofia City Prosecutor’s Office as the EU Funds Fraud Investigation Unit is part of it? Why to date none of the investigating prosecutors has shown any interest in the documents saved from burning near Radomir, which had been collected in bags and are sitting in the police precinct in Pernik or are rotting in the hole in which they were set one fire? Why did the pre-trial proceedings begin on October 8, after the murder of Victoria Marinova and the warning by Brussels since, as early as September 21, there was evidence of the criminal origin of the huge sum of EUR 14 million? Why consultants Tatyana Delibasheva, Peter Elen Petrov and Lilyana Zorteva, or ANY of the other people from Bivol’s publications, have not been interrogated to date? What is happening with the investigation into a bribe in particularly large amount (Art 304a) and for an organized crime group with the participation of an official (Art 321 Para 3)? Why did the accusations from October 29, 2018, against people from GP Group become known only on November 14 and why their names had not been communicated? Why, despite the serious crimes punishable by imprisonment for up to 15 years, the Prosecutor’s Office has requested from the accused members of GP Group the modest bail of BGN 15,000 and BGN 30,000, respectively, which the accused have not protested and have paid? Why isn’t law enforcement investigating other large construction companies explicitly mentioned in Bivol’s publications, namely Glavbolgarstroy and ISA-2000?